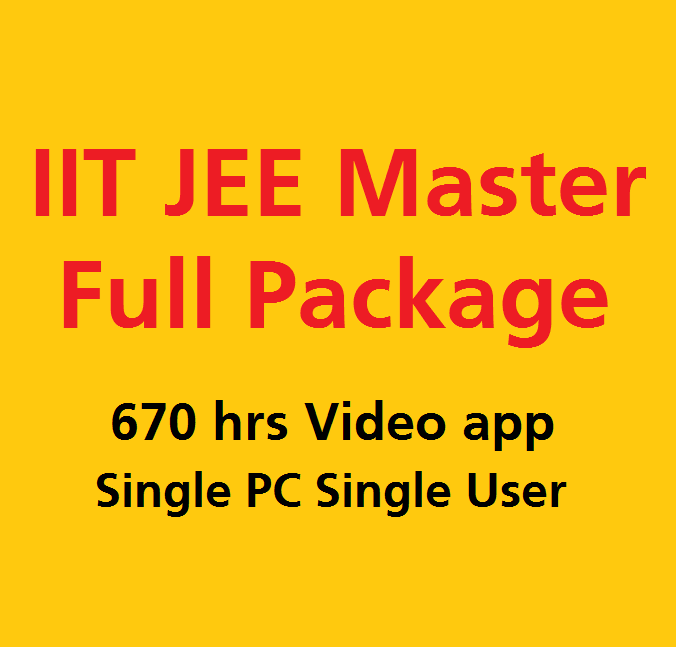 It contains all ten parts of our PCM package of about 700 hrs HD Video classes for iit jee. You can watch it for 10 days only. After that, you can opt for other duration courses. 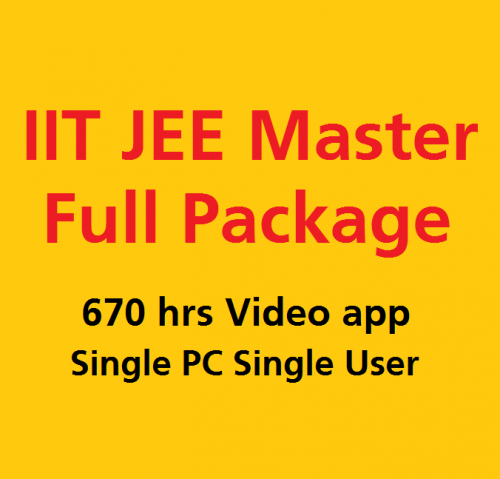 Full Pack iit jee PCM video lectures contains all 10 parts of our product. Entire PCM course covers all lectures for jee preparation at home. It is for students discretion to take the correct iit jee video course. So we have given him a full chance to evaluate our master video courses for iit jee. We have best of all time content that no one can never produce. Only iitjeemaster lectures covers solutions for various types of exams. This the video lecture that students always wanted for iit jee preparation. Theory lectures of physics for iit jee has 85 hours high-density videos. Apart from theory examples, we have included more than five hundred basic level problem in physics to clear most of the basic level concepts in the iit physics. Physics is the subject which needs concepts that can be visualized by jee students. Doing examples and basic concept based question one can go for the solution of NCERT exercises. This exercise will grow concepts to a level near to iit jee mains and you must know jee main is based on CBSE course. All four-part should be done after other. Although starter video lecture for jee pack runs for 10 days only we will say do only a few chapters that are running in classes. Once you do it all go for past jee solution available in the package as in videos exclusively by us. About 670 hrs HD Video which is now updated yearly and grow up to 720 hrs. License duration in for 10 days only after you have started using the video lectures. For a single user single PC means only one person can use it on one PC. The license can not be transferred to other PC after deactivation on the first PC. Cost of iit jee pcm video lecture starter will be adjusted to full-year licenses. We have given iit jee chemistry and maths video lecture in pcm starter pack but we will ask to do maths of class 12th as well. IIT jee pcm starter pack can kick-start your jee preparation by self-study mode. Total duration of iit jee lectures will be more than mentioned because we add new updated content every year.